What is height bias? Why do taller people tend to obtain leadership positions? What can individuals do to maximize their appearance? What can we learn from shorter guys who've achieved greatness? Books and other self-help resources tend to be one-size-fits-all. You will be hard-pressed to find anything which addresses the unique challenges of one particular group: short guys. Per the U.S. Census Bureau, there are approximately 60 million adult males below average height, which is 5’10’’. Only in recent years have a select few in the men’s clothing industry identified the fact that one size does not fit everyone under 5’10’’. 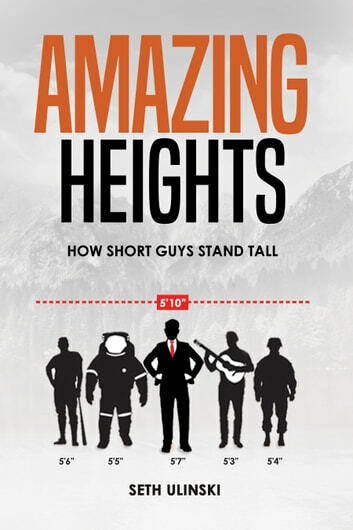 With this in mind, Amazing Heights is the first personal development book dedicated to the short guy fraternity.